Our House is a newly built 3 bedroom luxury cottage located on an elevated site with panoramic views over Trawbreaga Bay the surrounding countryside. 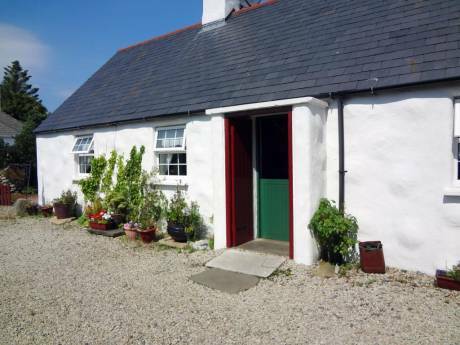 It is conveniently situated mid way between the villages of Malin and Culdaff and is within easy driving distance of a range of sandy beaches and the fabulous links course at Ballyliffin. 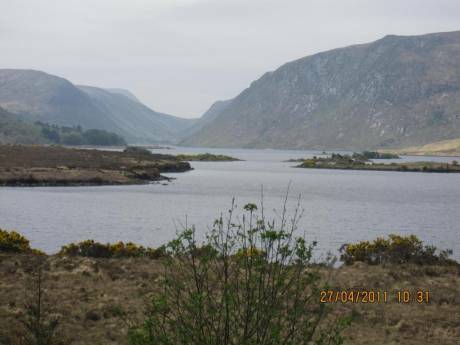 It would make an ideal base for your family holiday in Donegal. We are Sharon and Niall, a married couple with two children 3 & 6 years old. We are both professionals and enjoy travelling when able to get away. We have not done a home exchange before but are keen to try what sounds a great way to see another country as a resident - and allow someone to see yours. We would expect to arrange an exchange some way in advance in order to get to know our fellow exchangers via email first to see how best we can facilitate their stay in Ireland. We would look after a home like we do our own. The cottage provides the perfect 'hideaway' for getting away from it all and exploring the beautiful Inishowen Peninsula. You can use the new car ferry services at Greencastle and Buncrana to travel either eastwards along the north coast of Ireland or westwards to the rugged beauty of west Donegal. A 30 min. drive takes you to the Historic City of Derry with its unique, intact walls and meandering riverfront walks. The Inishowen Peninsula, wherein Culdaff is situated, stretches between Lough Foyle and Lough Swilly, to reach Ireland's most northerly point at Malin Head. 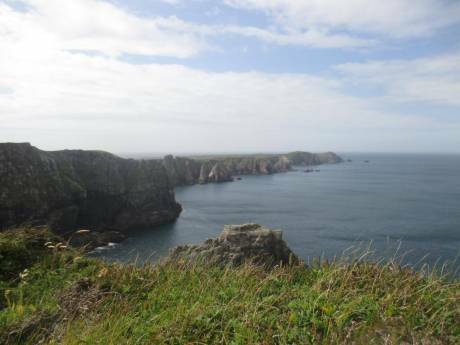 The drive round this expansive peninsula is spectacular with fine views of mountains and sea. The numerous lakes and rivers provide good game and coarse fishing. Just 2 miles away is the beautiful Glenevin Waterfall with its walks and picnic area. Buncrana with it's comprehensive range of shops is accessible in about 25 minutes.